WASHINGTON, D.C. — April 2, 2019 — Americans are borrowing tens of billions of dollars, skipping treatments and significantly cutting back on household spending to pay for basic healthcare, yet a wide partisan divide exists over their satisfaction with the current U.S. healthcare system and the quality of care it provides. These findings and more are based on a new survey conducted by nonprofit, nonpartisan organization West Health and Gallup, the global analytics and advice firm. 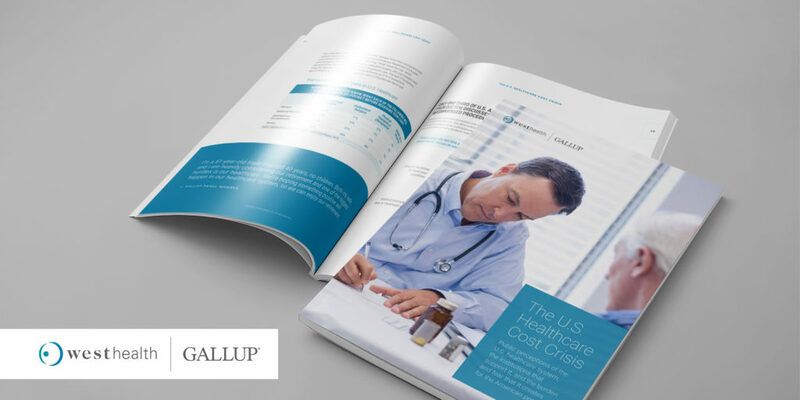 The results were published today in a report titled The U.S. Healthcare Cost Crisis, based on a nationally representative survey of more than 3,500 American adults on the impact of the high cost of healthcare on personal finances, individual healthcare choices and the level of satisfaction with the U.S. healthcare system. The survey found that despite 45% of respondents reporting fears of bankruptcy if a major health event strikes, 1 in 4 skipping a medical treatment due to costs and Americans collectively borrowing an estimated $88 billion to cover healthcare costs in the past year, most (64%) say they are “completely” or “mostly” satisfied with their personal experiences with the healthcare system. However, respondents’ satisfaction drops to 39% when they consider how well the system is serving Americans generally. Assessments of the healthcare system are enhanced or diminished depending on party affiliation and whether the cost of care is considered. While nearly half (48%) of the general population believes that the quality of care in the U.S. is the best or among the best in the world, this swells to 67% of self-identified Republicans compared with just 38% of Democrats. Nonetheless, 76% of all Americans agree they pay too much relative to the quality of care they receive. Pessimism about the government’s ability to address the crisis, however, is also bipartisan. Nearly equal majorities of Democrats (67%) and Republicans (70%) have no confidence in their elected officials’ ability to achieve consensus legislation to reduce costs. Overall, three-quarters of respondents — including 67% of Republicans — report that government is not currently doing enough to ensure that prescription drugs are affordable. In 2017, the U.S. spent $3.5 trillion on healthcare — $10,739 per person — more than any other country, yet it consistently ranks near the bottom of major health indices among the 36 nations of the Organization for Economic Cooperation and Development. – 77% of Americans are concerned rising costs will significantly damage the U.S. economy. – 76% expect their costs for healthcare will increase even further in the next two years. – 15 million Americans have deferred purchasing prescription drugs in the past year due to cost. – Nearly 3 million borrowed $10,000 or more to pay for healthcare in the past year. – Only about one-third report that doctors discuss costs with them in advance of procedures, tests or treatment plans, or for medicine required to treat their conditions. 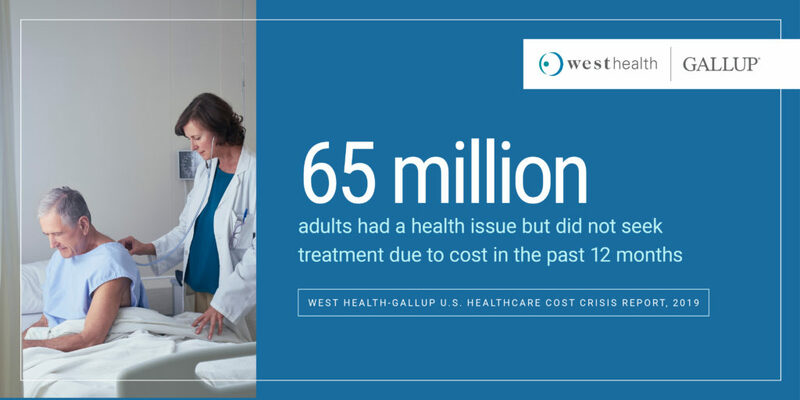 The survey results will be announced at West Health’s 2019 Healthcare Costs Innovation Summit today in Washington, D.C. Results are based on telephone interviews conducted Jan. 14-Feb. 20, 2019, with a random sample of 3,537 adults, aged 18 and older, living in all 50 U.S. states and the District of Columbia. For results based on the total sample of national adults, the margin of sampling error will range from +1.2 percentage points for response percentages near 10% to +2.1 percentage points for response percentages near 50%. All reported margins of sampling error include computed design effects due to weighting. The margin of error for subgroups such as gender, education level, income or political identity will be larger, typically ranging from around +3 to +5 percentage points. The national sample included a quota of 80% cellphone respondents and 20% landline respondents, with additional minimum quotas within each U.S. subregion. Landline and cellular telephone numbers are selected using random-digit-dial methods. Solely funded by philanthropists Gary and Mary West, West Health is a family of nonprofit and nonpartisan organizations including the Gary and Mary West Foundation and Gary and Mary West Health Institute in San Diego, and the Gary and Mary West Health Policy Center in Washington, D.C. West Health is dedicated to lowering healthcare costs to enable seniors to successfully age in place with access to high-quality, affordable health and support services that preserve and protect their dignity, quality of life and independence. 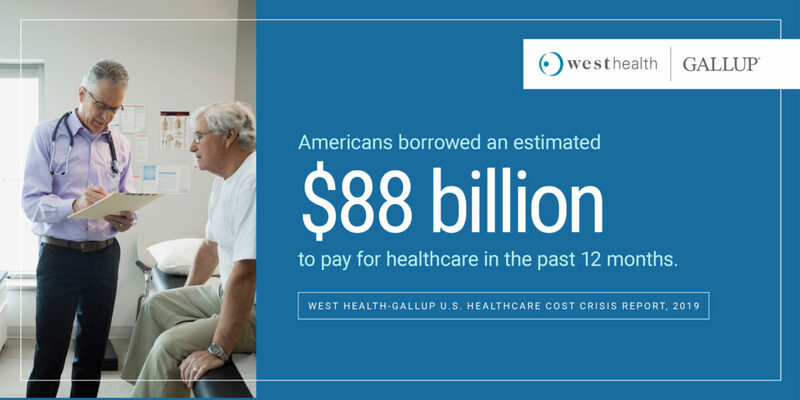 Learn more at westhealth.org and follow @westhealth.